Customer success is the function at a company that is responsible for managing the technical and business relationships between a vendor and its customers. This is a relatively new field in business, so there are new developments in the field, just as there are new developments in marketing automation. The main idea includes customer acquisition, portfolio development, retention and expansion. If this sounds like something that may help to improve your business, you should consider the many benefits of customer success management. The first benefit of customer success management is that it helps to reduce churn. Churn is a term used to describe the rate of attrition or the number of customers who cancel their subscription to a service within a given period of time. It also include customers who are declined by an address verification system check. In order for a business to be successful, their acquisition of new customers must exceed the churn of old ones. However, customer success can make this a much easier feat. Proper customer care can reduce the number of customers that unsubscribe from your service. This helps you to maintain a larger customer base so that you can focus more on gaining new sales instead of keeping up with losses. Customer success management solutions can help to improve other areas of business operations. Customer success can increase customer predictability. This allows your business to gain insight into developing issues sooner, rather than later. Being able to identify the outcome indicators and drivers helps you in the areas of revenue predictability and capacity planning for the future. Clearly, customer success management is crucial to improve many different areas of business all at once, including sales planning. Customer success is also an excellent option because it helps to create advocates for your business. Satisfied customers are the best salesmen. By improving customer success, you are ensuring that your business maintains a positive reputation. When your customers are pleased, the will often be at the frontline of your acquisition efforts. This means that they will tell friends, family, business partners and acquaintances about your service, increasing you conversion funnel. The more referrals you earn from happy customers, the better. Upselling is the process of encouraging a customer to purchase an additional or more expensive product or service. 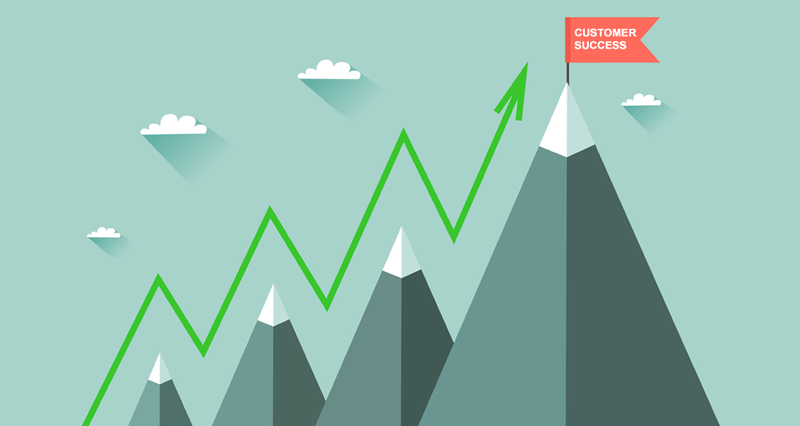 Customer success management helps to improve your opportunity to encourage upsells and encourage more significant account expansion overall. This financial function is all about finding the opportunity to draw customers in. Additionally, the happier a customer is with their first service, the more likely they will be to purchase another one. By managing your customer success properly, you can help encourage more sales for your business. Finally, the last benefit of customer success management is that it helps to improve the customer support of your business. By implementing a customer success process, your business can put greater emphasis on keeping customers happy and assisting them with problems. This business function is dedicated to finding the best way to improve the customer experience. Customer success management provides insight into where your business need to focus more on the customer. Whether this requires faster tech support or a 24/7 answering service, you can find out and provide your customers with what they need. This may be even more beneficial for business than another mobile marketing campaign. Customer success management encompasses a wide variety of functions. From acquisition to up-selling to retention, this business process is dedicated to the customer. If you want to be part of the small business revolution, you should consider these many benefits above. By implementing a customer success program, your business could earn more referrals, reduce churn and even improve customer service.